Rebecca Armson reflects on her six month internship in the Halesworth office of World Land Trust (WLT). During my first week in the office, staff were buzzing with excitement over a video from WLT’s conservation partner in Armenia – Foundation for the Preservation of Wildlife and Cultural Assets – which showed camera trap footage of an endangered Caucasian Leopard. Thousands of Armenians had evidently shared the excitement after an Armenian news website covered the story with a link to the video on WLT’s YouTube channel, and the video received 26,000 views in 24 hours! With only 10-15 leopards remaining in the country, it’s easy to see why the video caused so much interest, even though the only part of the leopard captured on the video was a fleeting glimpse of its tail! Recalling that first week, I realise just how much I have learnt since then. From leopards in Armenia to the astounding rate of deforestation in Paraguay, I have gained a much improved knowledge of wildlife and habitat across the world, the threats they face, and different approaches to conservation. Among the most valuable aspects of the internship has been the chance to attend meetings and events. 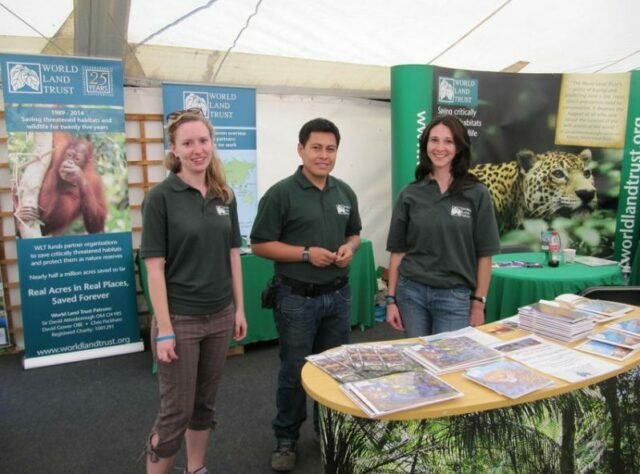 During Birdfair and at WLT’s Controversial Conservation debate at the Royal Society, I was able to meet and chat to project partners, supporters and staff of other conservation organisations. Meanwhile, attending meetings onsite and offsite has provided invaluable insights into how communications are managed effectively and how ideas and projects are developed and assessed. As the internship has progressed, I have been increasingly impressed at how WLT establishes and maintains effective relationships – within the organisation itself, with supporters, ambassadors, project partners and collaborators – and how these are used to meet the Trust’s mission to protect threatened habitats. The success of Big Match Fortnight in October 2013, for example, which drew on the concerted efforts of so many parties, demonstrates how remarkably effective strong collaboration can be. Big Match Fortnight raised nearly three quarters of a million for WLT’s Borneo Rainforest Appeal and, by being involved, I discovered a great deal about what it takes to design and implement a successful fundraising strategy. Above all, the internship has provided an exceptional opportunity to gain practical insights into the overall running of a successful conservation charity and I have no doubt that many aspects of the experience will continue to be useful to my career – the next stage of which will involve swapping office work in Halesworth for fieldwork in the Sabangau peat swamp forest! Here, in the Central Kalimantan region of Indonesian Borneo, I will work as research assistant for the Orang-utan Tropical Peatland Project (OuTrop). 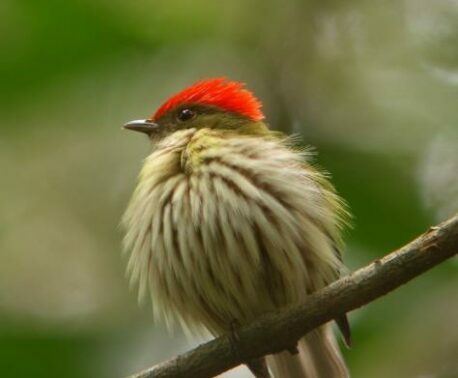 Working closely with scientists from CIMTROP (Centre for International Cooperation in Sustainable Management of Tropical Peatlands), OuTrop carries out research and coordinates activities to support locally-led conservation in the tropical forests of Kalimantan. Much of what I have learnt about the conservation projects supported by WLT will be highly relevant to the project and, having previously studied wild Bornean Orang-utans in the Tuanan study area of Mawas peat swamp forest in Central Kalimantan, I am very excited to be returning to carry out further fieldwork in the region. Looking back on my time with WLT, I feel extremely lucky to have had the chance to be involved in the far-reaching work of the Trust. When I think of the knowledge I have acquired and the contacts I have gained, it’s almost impossible to list the many ways in which I have benefited from the internship. While I am in Borneo I shall be sending my WLT colleagues conservation updates and I look forward to staying in contact with the Trust. 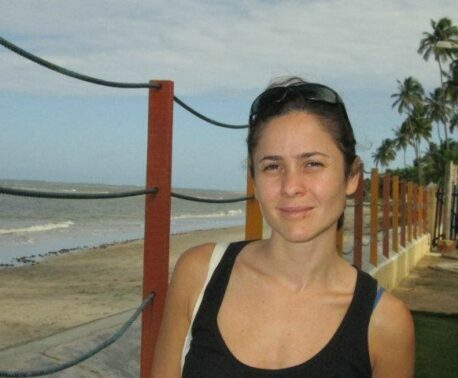 Rebecca Armson’s internship ended on 17 January 2014.